When in Cambridge, we always visit the Amnesty Bookshop in Mill Road, a treasure house of second-hand books. And I was lucky again today: I stumbled upon the two books that together came to be published as Sir Ernest Gowers’s The Complete Plain Words (1954), of which Carmen Ebner found a copy this summer. If you wish to know who Gowers was, read all about him in her blog post. and one 1987 edition published by Penguin, described as a 3rd edition, revised by Sidney Greenbaum and Janet Whitcut. So it seems that the book was reprinted regularly, down to 1987, and that there were three editions altogether, one by Sir Bruce Fraser and the other Sidney Greenbaum and Janet Whitcut. 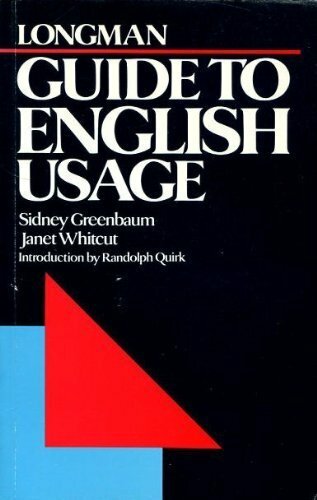 The latter pair of writers published a usage guide themselves in 1988, called The Longman Guide to English Usage. As for Sir Bruce Fraser (1910-1993), his entry in Wikipedia reads that he is “probably best known now for revising Sir Ernest Gowers’ classic book The Complete Plain Words, written to teach officials and others how to write clearly”, and it adds that “by the early 1970s the language had moved on from the post-war era when Gowers had written the first edition. The publisher, HMSO, felt the need to publish an updated version, despite some resistance to tampering with a classic”. Postscript: Since I wrote the above two days ago, I found a copy of the third edition of The Complete Plain Words: it really pays of to check the stock of books in British charity shops! The date of the edition is 1986. As the colleague who I went to have lunch with today remarked: it will be interesting to see what Greenbaum and Whitcut did to the original book. Indeed: it will also be interesting to compare this third edition The Complete Plain Words with their Longman Guide to English Usage. This entry was posted in usage guide and tagged Complete Plain Words, Gowers, Longman. Bookmark the permalink.